* Explore the mystery of the Xixia Regime Emperors Group Mausoleum. On your arrival in Hohhot for your exciting journey you will be met at the airport or train station by your personal guide, who will take care of you during this journey. If you need any advice, tips or help please just ask your guide. Your car and driver take care of your luggage and make sure you arrive more refreshed. Todays first destination is the Dazhao Lamasery. Built in 1580 as the oldest Lamaism Buddhist temple in Inner Mongolia, Dazhao Temple owns its fame to a visit by the third Tibetan Dalai Lama in 1586, when he came to dedicate the Silver Buddha statue. 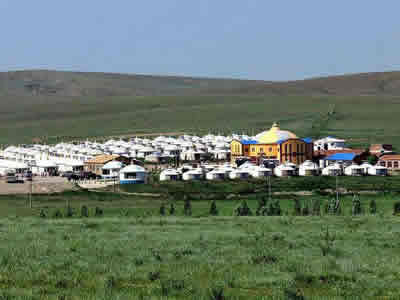 As a consequence Hohhot became the most important religious center for people from all over Mongolia who came to worship. Another notable event in the temples long history was a visit by Emperor Kangxi during the early part of the Qing Dynasty (1644-1911). 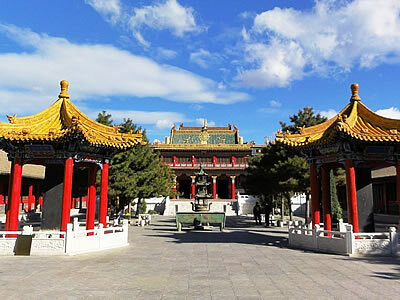 The temple now is the best-known of all lamaseries of Geluk Tibetan Buddhism as well as the biggest and most complete wooden structures ever built in Hohhot which is still retaining its former grandeur today. 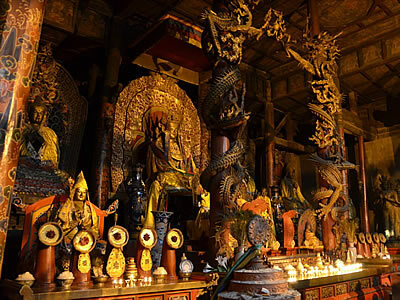 This Lamasery boasts the impressive buildings, splendid statues, delicate frescos, musical instruments and fine collection of Buddhist scriptures. Among which the most notable are "the Three Marvelous Treasures", a title given to the Silver Buddha, the carved dragons on the huge golden pillars on either side of the statue and the murals commemorating the Emperors visit. In the middle afternoon, you will drive north for around 185km/2.5 hours to Baotou City. Enjoy the charming South Lake Park in Baotou. In early evening, arrive at the railway station in Baotou. Say goodbye to your local guide in Baotou and take around 6 hours train from Baotou to Yinchuan. Upon your arrival by midnight, you’ll be picked up by your local guide and driver, transferred to the downtown hotel. Today in the morning, drive from Yinchuan to Zhongwei for around 3 hours to visit one of the 50 best tour places in China, Shapotou Tour Area. 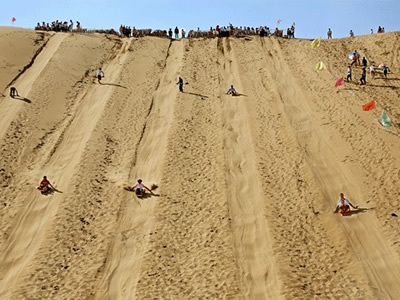 There you can enjoy the world famous Harness Desert Project at the famous Tengger Desert, to floating on the Yellow River (the 2nd longest river in China) in Sheepskin Raft (paid by yourself there), Surfing the Sand (paid by yourself there). Please think it over before you decide to ride the horse on the desert. These activities are not included in our tour contract (we will sign the tour contract with our tourists on every package tour.). 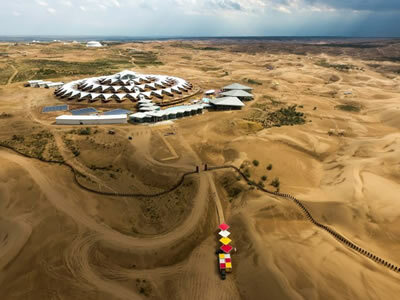 The activities on the desert will be chosen and paid by yourself there. We do not take responsibilities for any problems if happened on these activities. Today in the morning, you will drive for around 26km/45m to visit the “Oriental Pyramid", Xixia Regime Emperors Group Mausoleum (or interpreted as Western Xia Tombs). Afterwards, transfer service to Ninxia Airport or Ninxia Railway Station. Bid a fond farewell to Ningxia. Your guide will look after you until your safety at the correct airport check-in desk or railway station check-in channel to complete your amazing tour. Located around 35km to the west of Yinchuan city and occupied an area of some 50 sq.km, it is the mausoleum for Xixia (Western Xia) Dynasty (a Locality Separatist Regime existed between 1038 and 1227). The Xixia Regime Emperors Group Mausoleum at the foot of the Helan Mountains includes nine imperial mausoleums and 250 tombs of imperial relatives and officials. 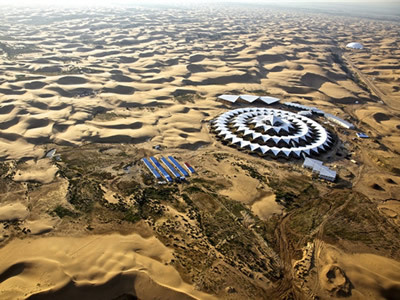 This burial complex lies some 40 km westward from capital city of the Western Xia Dynasty, the Xingqing Fu or Xingqing, what is part of the modern-day Yinchuan, capital of Ningxia Hui Autonomous Region. The Western Xia dynasty was finally conquered by the Mongols under Genghis Khan. 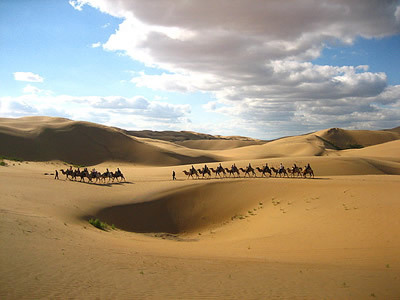 The Western Xia Empire was founded by the Tangut ethnic group, about which little is currently known. Of current excavations, only the No. 3 mausoleum has been adequately excavated and researched. This mausoleum is attributed to Western Xias first emperor Jingzong, Li Yuanhao, (1003-1048), has been determined as a pavilion-tower construction fusing both traditional mausoleum and temple styles with Buddhist characteristics.